← Hasbro Toy Shop Has Han Solo (Bespin Outfit) IN STOCK! 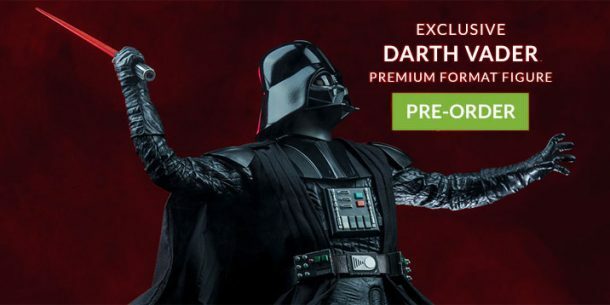 Sideshow Collectibles has opened up pre-orders for both the regular and exclusive editions of their Rogue One version of Darth Vader. Click below for the pre-order page. Previous Article: Hasbro Toy Shop Has Han Solo (Bespin Outfit) IN STOCK!